We all love the idea of heading down an open highway, untouched by the maddening chaos of the modern world, but not every road trip is a fairytale of enlightening experiences. Many a time, the excitement of hitting the road makes us ignore some of the key prerequisites needed for a glitch-free and enjoyable road trip. 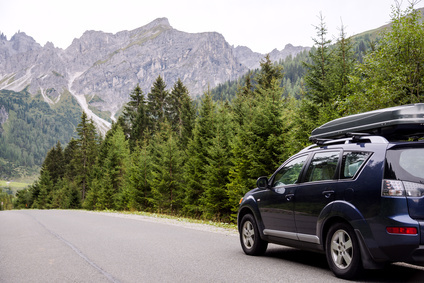 To help ensure all your road trips leave behind nothing but cherishable memories, we have put together a brief list of the things you need to check before rolling out your prized possession from the driveway. If you are yet to own one, feel free to check out our salvage cars for sale. But in the meanwhile, let’s take a look at the checklist. Oil and air filters are among the most frequently replaced parts in automobiles, especially in dusty areas. Soiled filters not only hamper the performance of your vehicle, but can also leave you stranded, if they get completely clogged. To make sure you don’t end up being stranded with no spare shop in sight, get all the filters of your vehicle checked before starting your journey. It would not be a wild leap to say low tire pressure and worn out treads are among the most common causes of road accidents. Inapt pressure and worn out treads can not only deteriorate the fuel efficiency and maneuverability of your car, but can also lead to more serious problems such as a tire burst. It is, therefore, important to make sure the tires have the right pressure and at least 1.5 to 2 mm treads. Whether we buy a brand new car or get one from an online car auction, spare wheel is probably the last thing that comes to our mind. Unfortunately, many of us have to learn its significance the hard way. As the spare wheel is rarely used, when the need actually arises, many a time people find it to be flat or lacking air pressure. If you too haven’t used or checked the spare wheel for quite some time now, add it to your to-do list. Brakes are always a concern in road trips, especially when you are traveling in extreme weather conditions. Regardless of whether your car has disk or drum brakes, you must get them checked by a service professional. Make sure the brakes are not producing any strange or unnatural sound and the pedal does not get jammed no matter how hard or abruptly it is pressed. If there is any problem whatsoever, getting it fixed will not be a matter of “choice”. Malfunctioning lights, horn, and other electricals not only pose a safety threat, but can also lead to financial penalties. It is therefore important to make sure all the lights on your car are functional and carry some spare bulbs and fuses after consulting a service professional. Moreover, adding a set of fog lamps is also essential, if you are planning to travel in foggy conditions. Whether you have recently purchased a car from a public car auction or been driving the same wheels for years, make sure it is in perfect condition before you hit the road. Even if you have one of the best of cars money can buy, it is essential to ensure your ride is ready to take on the journey you have planned for it, which explains the need of a thorough inspection by a service professional. If, however, you are skilled enough to take matters in your own hands, the web has more than enough resources to guide the way. If you wish to buy a salvage car for sale in Dallas or nearby areas, feel free to explore our listing and bid to win your dream ride!